A mix of crime-scene detection and action, Miami Crisis puts you in charge of uncovering a shadowy terrorist conspiracy and solving a series of crimes. 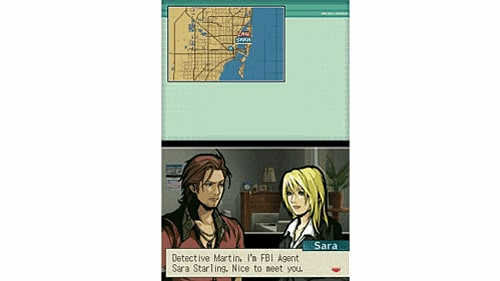 Choose to take the role of Martin Law (Miami PD) or FBI Agent Sara Starling and use each of their special talents to help you in your hunt. 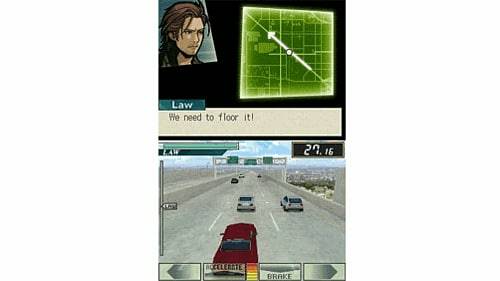 Playing as Law gives you a more action-orientated game where you will become embroiled in the hard-edged side of enforcement with car chases, shoot-outs and face-offs. 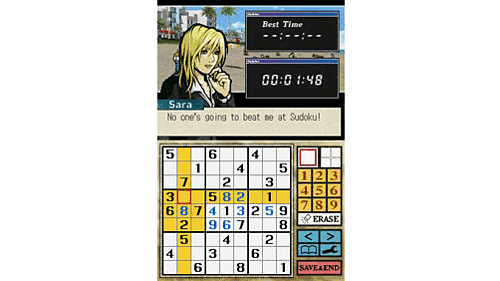 Playing as Starling gives you a more puzzle-solving side to the game, where you'll use forensics and detailed examination techniques to search for clues. 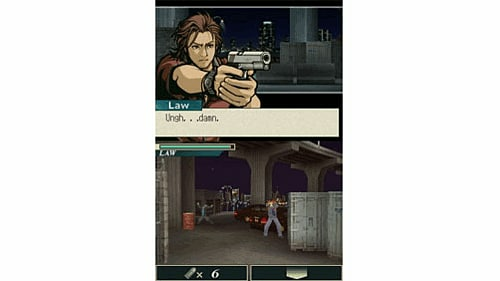 With its evolving gameplay and varied content, Miami Crisis will continually surprise and enthrall. 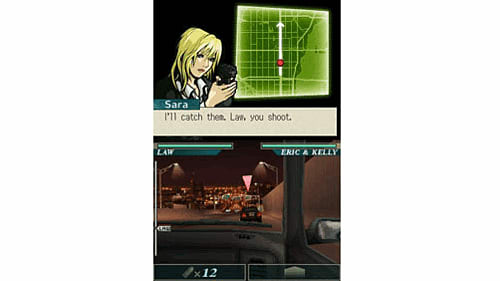 With additional unlockable sub-games located as a game progress award, and a unique control interface, Hudson Soft has delivered the ultimate cop show for the Nintendo handheld.